Drive through scenic winding coastal roads with the sea on one side and the majestic Lattari mountains on the other side. Breathe in the scents of the Mediterranean and take photographs! Escape from the crowds, slow down your pace and enjoy a cup of lemon juice or a lemon flavor gelato. This is a moment you'll wish will last forever! Nice way to experience the Amalfi coast for a day! Josie-tour guide and Paolo-driver made it all pleasant and worth it! From Limoncello tasting, to navigating the long winding roads and going into the splendor and natural beauty of the Amalfi coast- Sorrento, Positano,Ravello. Great experience! The lunch was superb as well! 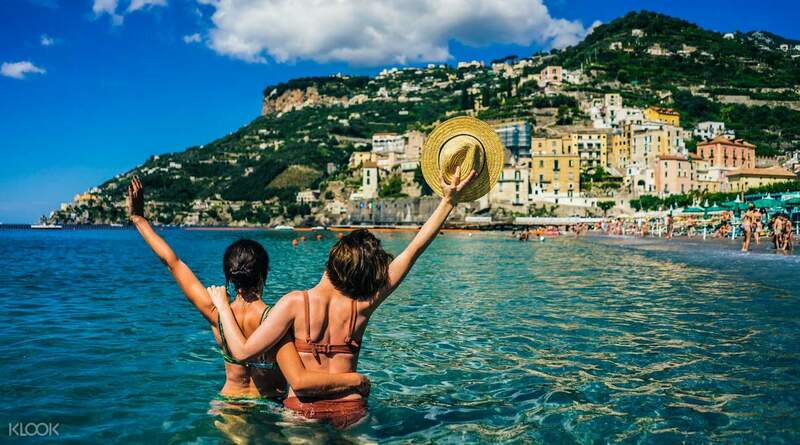 Take a day trip to Amalfi and enjoy the Mediterranean scent of Amalfi, a seaside town full of history and tradition that's nestled between the cliffs and the ocean. Begin the tour with a guided tour through winding coastal roads, surrounded by the sea on one side and Mount Lattari on the other. Here you'll have plenty of opportunities to take photographs of your picturesque surroundings and take in the warm sun and the smell of refreshing lemon as well as the salty sea! A quick lunch provided by the tour will refresh and reenergize you for the rest of the trip, right before you arrive at the pretty town of Amalfi. 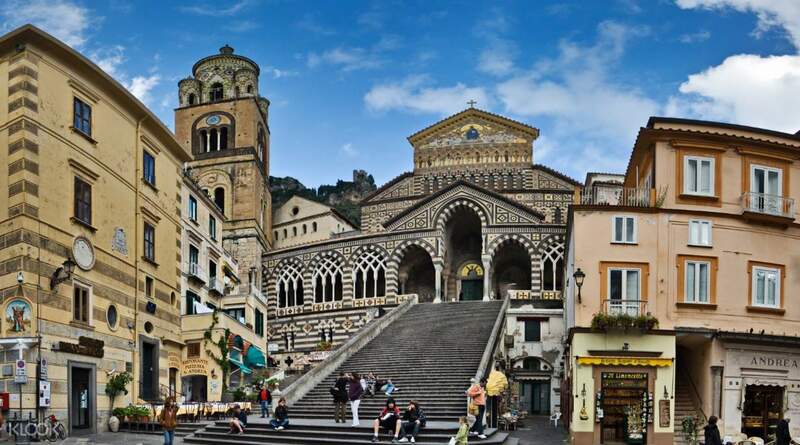 Admire the the clusters of small white houses and the maze of little alleyways, as well as visit Saint Andrew's Cathedral or the Duomo, Amalfi's local landmark filled with incredible frescos and the relics of Saint Andrew. Comfortable shoes will come in handy as you walk up the steps of the Duomo, but beware: local legends say that couples shouldn't climb up together or they will never get married! You'll then explor the village of Ravello, where you can enjoy the outstanding views and beautiful gardens that have inspired a variety of artists. This tour is a perfect way to slow down and enjoy lemon juice and lemon gelato! The beautiful cliffside towns and villages will leave you feeling breathless! The town is accessible via land or sea, both with gorgeous views all around! Nice way to experience the Amalfi coast for a day! Josie-tour guide and Paolo-driver made it all pleasant and worth it! From Limoncello tasting, to navigating the long winding roads and going into the splendor and natural beauty of the Amalfi coast- Sorrento, Positano,Ravello. Great experience! The lunch was superb as well! Nice way to experience the Amalfi coast for a day! Josie-tour guide and Paolo-driver made it all pleasant and worth it! 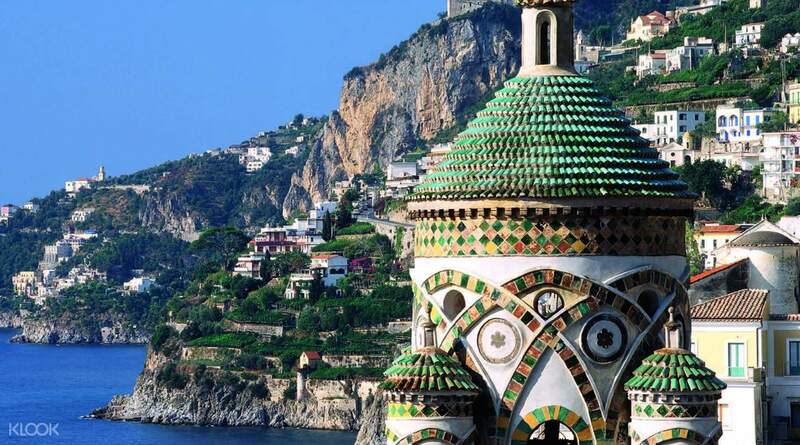 From Limoncello tasting, to navigating the long winding roads and going into the splendor and natural beauty of the Amalfi coast- Sorrento, Positano,Ravello. Great experience! The lunch was superb as well! What a relaxing way to visit this stunning area. Booking was easy. The tour guide was helpful and knowledgeable. I would certainly recommend this day tour as a wonderful way to see the coast. What a relaxing way to visit this stunning area. Booking was easy. The tour guide was helpful and knowledgeable. I would certainly recommend this day tour as a wonderful way to see the coast. The Full Day tour was fantastic, our guide was very knowledgeable and friendly. We had a beautiful lunch in a remote village overlooking the coast. The Full Day tour was fantastic, our guide was very knowledgeable and friendly. We had a beautiful lunch in a remote village overlooking the coast. A really good experience in Amalfi. Good pickup service. Lunch was good too. A really good experience in Amalfi. Good pickup service. Lunch was good too. The scenery is very charming, the driver and the tour guide are also very professional! The meal is normal and the trip is great! 風景很迷人，司機跟導遊也很專業!餐點普通，行程很棒!